Get the best Carpet cleaning price in the Lambeth by calling 020 8050 2865 or request a quote by using our quote form. Our high quality carpet cleaning teams in Lambeth are prepared to help you no matter the type of stain that you are battling. 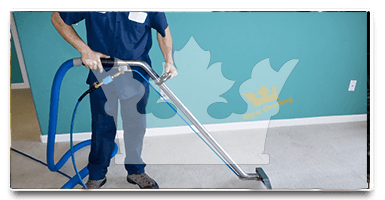 Our vans are equipped with the latest and best models of carpet cleaning machines which allow us to clean almost any type of stain from pretty much all types of carpet fabrics. Call now and request your free quote at - 020 8050 2865. We guarantee you that our call operators will give you a quote that you won't be able to pass on as our prices are the best for not only carpet cleaning in Lambeth, but also oven, end of tenancy and one-off services. Our carpet cleaning in the Lambeth is second to none. Prices are fair and so affordable, that you'll be surprised. At your service you have our carpet cleaning vans fully equipped with the latest equipment and regularly serviced. Our Lambeth carpet cleaning technicians are well trained in the art of carpet care by the NCCA - the National Carpet Cleaners Association. Our carpet cleaning in Lambeth is backed by our Company Guarantee: If you are not entirely happy with the carpet cleaning, we will come back and complete the task to your full satisfaction! Our experienced carpet cleaning experts will choose the quickest and most effective way to clean your carpets with just a quick brief inspection off them in Lambeth. 1.There are two main methods to perform a carpet cleaning - both of which we offer to our clients. 2.The steam extraction method uses hot steam to break the dirt off and then the vacuum extracts the moist from the carpets with the dirt all together. 3.Dry method which helps extract the dirt by using strong chemicals which get all the dirt together and then it's removed fully. - Call us and ask which method would be best for your carpet cleaning in Lambeth at our office 7 days a week- 020 8050 2865. For a fantastic experience with our carpet cleaning technicians in Lambeth, please contact our call operators at 020 8050 2865 where you will be presented with all the necessary information ensuring you don't get mislead in any way and getting the perfect price - right within your budget. 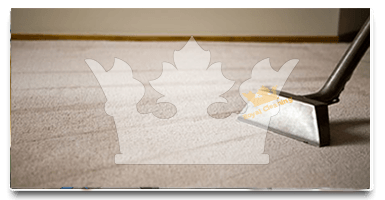 If I ever have to get my carpets cleaned again and I certainly will, I would never even consider anyone else than Royal Cleaning. They just know what I want and do it without any additional hassle or questions. I just love working with them as their prices are as low as you can find them here in Lambeth, London. Surely there are lots of local people and small family businesses that have tried getting me as a customer and perform my carpet cleaning, but I know that the quality that Royal Cleaning achieve is just so much better and makes all other companies from Lambeth unnecessary for me.